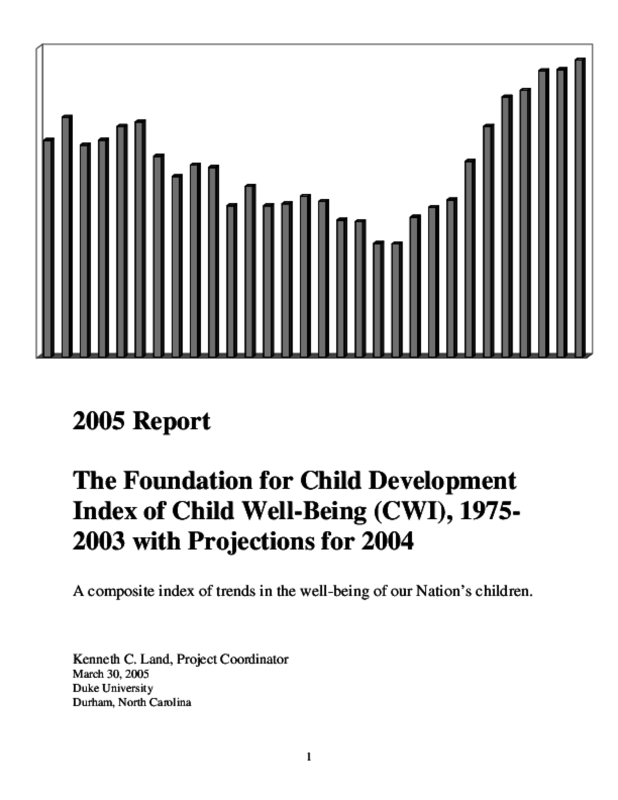 Measures major trends in the quality of life of children and youth in the U.S. during the period 1975 to 2003. Focuses on improvements in safety and behavior, and highlights social changes and public policies that may account for these improvements. Copyright 2005 Foundation for Child Development.